Located centrally on Cleveland Street, Masala Darbar serves an extensive and fully traditional Indian menu. With more than 15 types of dosa on the menu, the popular crispy thin crepe made with rice and lentil or semolina batter is elevated from sweet to savoury. 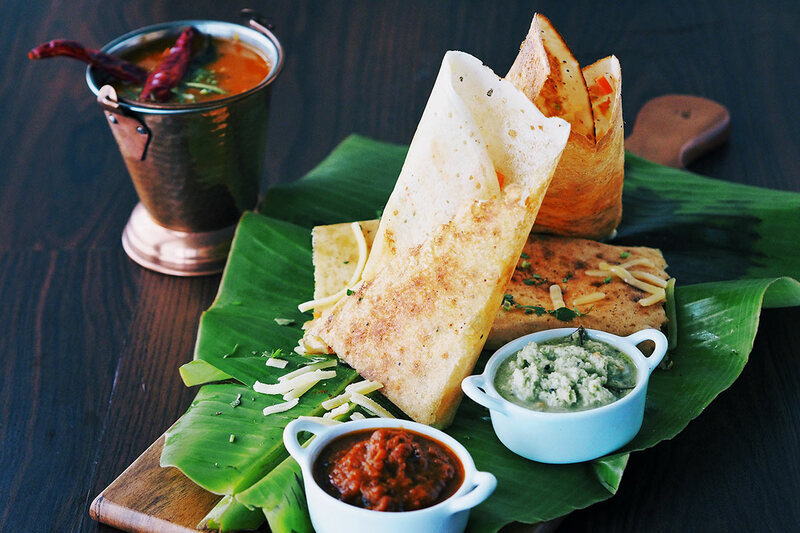 Their most popular dosas include a sumptuous potato masala dosa, a delicately thin and flaky ghee roast dosa, and the Mysore dosa which offers a punchy kick with a spicy garlic and chilli paste spread within the crepe. The authentic menu maintains a personal connection for Masala Darbar’s resident chef, Subramani Kandhasamy. In particular, the fragrant crab masala hails from the Chettinadu region of Tamil Nadu, the hometown of Masala Darbar’s head chef. A whole blue swimmer crab is cooked in a flavourful gravy of ground spices, combined with a dash of coconut milk, and topped with curry leaves. While it’s traditionally only served on special occasions, Masala Darbar aims to make these traditional, home-cooked dishes accessible to everyone. Head Chef, Subramani Kandhasamy’s international career and exposure to various local Indian cuisines has helped to develop a mastery over the variety of dishes in India, be it Mughlai Cuisine from Delhi, Chettinad cuisine from Tamil Nadu, the coastal cuisine of Kerala, Goa and Mangalore, or Brahmin cuisine from Palakkad. The set menu is a great starting point to explore just some of the delectable dishes that Masala Darbar has to offer. Known for its quality, Masala Darbar is any Indian cuisine lover’s new favorite location for lunch and dinner. Traditional food with a modern look and a new take on the authentic, Masala Darbar is serving wholesome Indian cuisine with distinguishable twist! With over 46 years of experience, it is not hard to see where Masala Darbar gets its expertise. Head Chef Subramani Kandhasamy, started his training in 1971 at the ‘Hotel Woodlands Drive-In’ in Chennai City, India. He relocated to Bombay City in 1981 and began a career in 5-star, hotel dining. He has served numerous notable individuals including Ganti Mohana Chandra Balayogi (member of the Indian parliament), famous singer S.P Balasubramaniam, the former Prime Minister of India P.V Narasimha Rao, and former Prime Minister of Sri Lanka, Ranasinghe Premadasa. In 1997, Subramani relocated to Sydney, Australia where he worked in various restaurants within the community. Finally in 2008, he opened Sri Annapoorna Indian Restaurant in Liverpool, catering to vegan and vegetarian customers. Subramani Kandhasamy is very well respected amongst the Indian Community in Australia. As an avid member of not-for-profit Friends of India Australia for the past 18 years, he caters for over 4000 people at their annual event, Ganeshotsava which traditionally marks 12 days of celebrations, and is also often community members’ choice of caterer for events and weddings. Masala Darbar is currently open for lunch and dinner from Tuesday through to Sunday 11am-10pm. Felicia studied Media at the University of New South Wales, and always had a special interest in social media and the online world. A Pinterest tab is almost always opened on her browser, and curating the perfect Instagram image has now become a way of life. 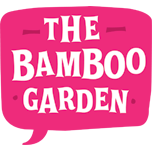 She is the Content & Community Manager at The Bamboo Garden.